Get Transportation of Dangerous Goods Certification Online Now! Transporting dangerous goods and materials on Canadian roads is a huge responsibility to yourself, your employer, and the Canadian public. It’s critical that you understand the seriousness of your cargo and the knowledge required to recognize and be familiar with the types of materials you may be transporting. Show your employer that you take this responsibility seriously by taking care of your Transportation of Dangerous Goods (TDG) safety ticket online today. Dangerous Goods Safety Certification and Ticket? Ready to get your transportation of dangerous goods (TDG) certification card in Alberta or any other province for an upcoming job? Good news — there’s never been a better time to take care of your TGD safety training in a way that’s convenient, interesting, and gets you ready and compliant for your next job! At the end of our approximately 3.5 hour course, you’ll simply print out your certificate and transportation of dangerous goods safety ticket as proof of full completion of your TDG safety training requirement. 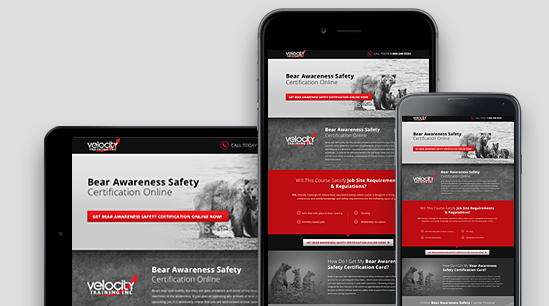 certification quickly and easily with a fun, engaging online course from Velocity Training! Get Hydraulic Safety Certification Online Now!